It is the purview of Certified Asbestos Hazard Evaluation Specialists (CAHES) to conduct a thorough inspection, sampling, testing, and analysis of building materials that have the potential to be asbestos-containing. Federal and state law requires that these individuals undergo education and training in the proper conductance of inspections, sampling, testing, and analysis. A thorough understanding of the requisite sampling techniques, knowledge of construction materials, and applicability of the various analytical methodologies is necessary for the proper evaluation of any structure. 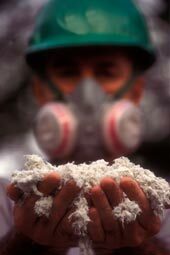 Environmental Support Network, Inc. employs a full complement of Certified Asbestos Hazard Evaluation Specialists that bring their expertise to your organization so that decisions can be made in the proper management of asbestos-containing materials.